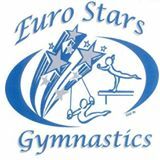 Euro Stars Gymnastics offers a variety of gymnastics and tumbling classes Monday-Saturday. Euro Stars Gymnastics offers a variety of gymnastics, tumbling and fitness classes. Our gymnasts come from Plymouth, Northville, Canton, Livonia, Farmington, Novi, Belleville, Ypsilanti, Westland, South Lyon, Salem and more! We offer free trials for many of our classes for new customers. We’d love for you to experience Euro Stars to see if its a good fit for you and your family. Classes are billed on a monthly basis. Students are guaranteed 4 offered classes each month. Students will be allowed one make-up each month. Miss a class? Sign up for the global make-up at the front desk! No questions asked. Do we have 5 Fridays this month? You have a Friday class? You get that last Friday free! Most school-aged children begin with one class a week. Children who love the gym and are always creating mats out of your furniture may benefit from a 2nd class each week. This will help them safely progress in their skills. Your child’s second class each week will be discounted by 30% off the lower priced class. Discounts are available for siblings as well. Siblings concurrently enrolled, receive a 10% discount off the lower-priced tuition. Is it better to take two classes or one longer class each week? Each family has different goals. Our Parent and Tot classes allows your child to be active and learn how to follow directions and interact with other children. However, we have new gymnasts who start taking recreational classes in middle school even! What age is best to start gymnastics? We offer a variety of clinics and classes. For example, to move up from Little Stars to Shining Stars, a gymnast should have a few specific skills, including a pull over. Many girls are opting to take the Pull Over clinic in the summer so they will hopefuly be ready for Shining Stars in the fall. Learn more about the clinics available here. What should we do if we want specific skills? How can I enroll my child in classes? We offer a rolling admissions. If there’s room in the class that your child wishes to take and they have the pre-requisite skills, you can enroll! We can prorate the first month if the class has already begun. Simply let us know in writing (we have a form at the front desk) 7 days before the beginning of the next month, and we will remove your child from the class for the following month. They can always return as long as their registration is active and there is room in the class. Yes, you may, at the end of each month if you need to adjust your child’s schedule, just let us know and we can let you know of availability. Sometimes a coach will ask a child to change classes as well. We can work with you at the front desk to find options. Sometimes children need a class with more difficulty, or other times they need a shorter class while they mature. We want what’s best for your child’s progress and abilities! Can my child only attend open gym? Our Stay and Play class option children walking on up to participate in an open gym style fun day. Parents stay and help their children or monitor them from the two large viewing areas. We offer support, but not individual coaching/supervision. Our Friday Teen Night Out is during the school year. The cost is $15 per teen (middle and high school students only), or $10 for members. We also offer a variety of Open Gyms for Elementary-aged kids. Check our schedule for more information!